Chuck Brown's adoring fans started lining up in the heat and humidity before 7:30 a.m. Tuesday for their chance to say goodbye to the go-go music legend. A public viewing that began at 11 a.m. at the Howard Theatre was cut short due to weather at 8:30 p.m., but not before many people waited in the long line despite the heat for a chance to send off the musical legend. The casket arrived at the Howard Theatre Tuesday morning and was placed right below the theater's stage. It was bathed in purple light and covered in white roses, News4's Chris Gordon reported. Brown wore his trademark hat and shades with his guitar by his side. "It's a sad occasion, but then again it's not," said one fan in line. "It's the celebration of life. 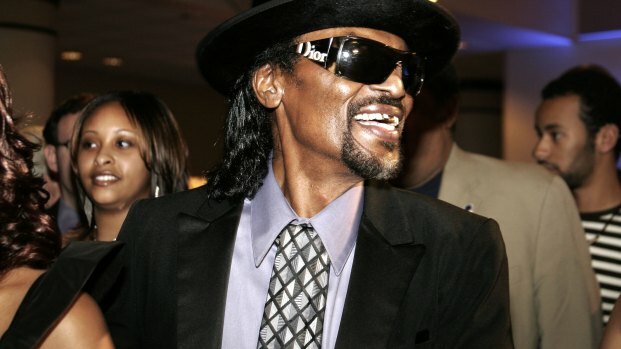 I'm here to say thank you to the family for sharing him with us and thanks to Chuck for the many years of go-go." 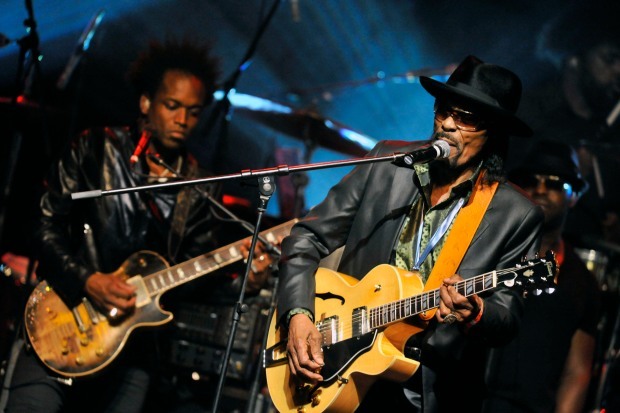 A public viewing of Chuck Brown will take place on Tuesday for fans of the music legend at the Howard Theatre. News4's Megan McGrath reports. Fans danced and sang songs in his memory. Some remembered as an inspiration. Others called him the soundtrack to their lives. D.C. Mayor Vincent Gray spent an hour beside the casket, shaking hands with people. "Chuck was a good friend of mine, and he did so much for so many," he said. "It's nice to see the people coming back now to say, Thank you, Chuck, for what you did for the city." Flags in the city will be flown at half staff Thursday, when a memorial will be held at the Washington Convention Center, Gray said. Council member Marion Barry showed up in the afternoon to pay his respects, as well. "In the very beginning, when he started performing, he and I just sort of hit it off as two individuals who had come up the hard way," he said. "You know, Chuck had been in prison. He had come up the hard way growing up." Because of the viewing, there are street closures around the Howard Theatre, beginning with T Street in front of the theater. By 9:30 a.m., the closures included 9th Street NW to Florida Ave NW, as well as 7th and 8th streets between Florida and S streets.